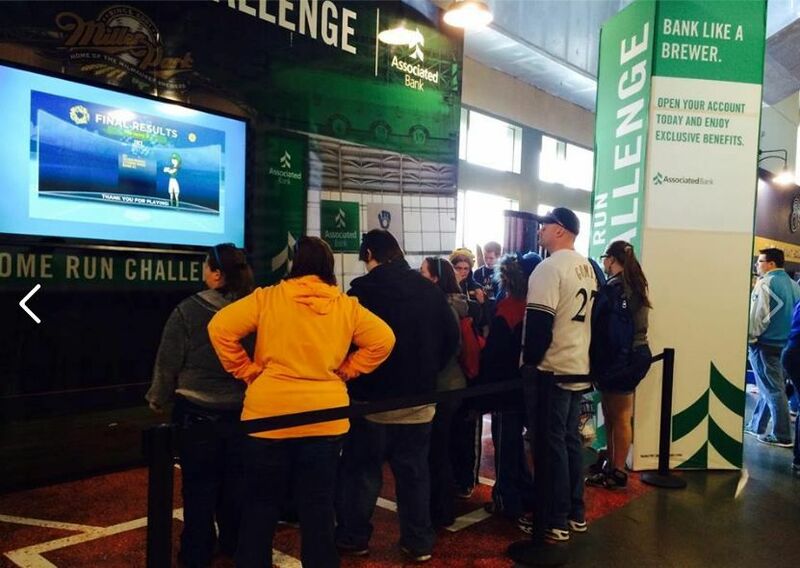 MILWAUKEE – April 7, 2015 – This baseball season, Associated Bank is launching the “Home Run Challenge,” a new interactive game that invites baseball fans to challenge their batting skills, compete with family and friends for the highest scores and receive great giveaways. All participants will receive their own personalized, digital trading card they can share through their social networks as well as a cut-out photo of Hank the Ballpark Pup’s face attached to a stick. Participating Associated Bank customers will also receive a baseball drawstring backpack. The Home Run Challenge will be staffed by Associated ambassadors during home games. All fans will be invited to step into the “batter’s circle” for a digital trading card photo. They will use a tablet to play the interactive game while viewing it on a large monitor and hearing the sounds of cracking bats and a cheering crowd. The game offers each player 30 seconds to accumulate points for hits and home runs, with final scores appearing on a leaderboard. An additional feature of the interactive game is the ability to achieve three increasingly difficult “levels” based on skill. In addition to experiencing the Home Run Challenge at Miller Park, fans can choose to open a Brewers™ Checking account and receive a can cooler. The Brewers Checking account includes perks such as 2-for-1 ticket discounts on select games, a 10% discount at the Brewers Team Store, Brewers checks and debit card, as well as exclusive access to the Associated Bank “Check In” gate. This new gate is located in left-centerfield and provides bank customers easy and convenient access to the ballpark, especially for fans coming from the east parking lots. For more information, visit www.associatedbank.com/brewers100. 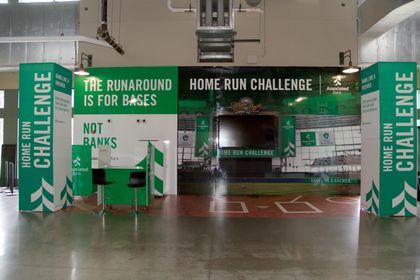 Fans can stop by the Main Level Concourse near Section 113 to experience the Home Run Challenge game. Next to the game area, they will find Associated bankers who are available to answer questions and help them open a Brewers™ Checking account with added perks.